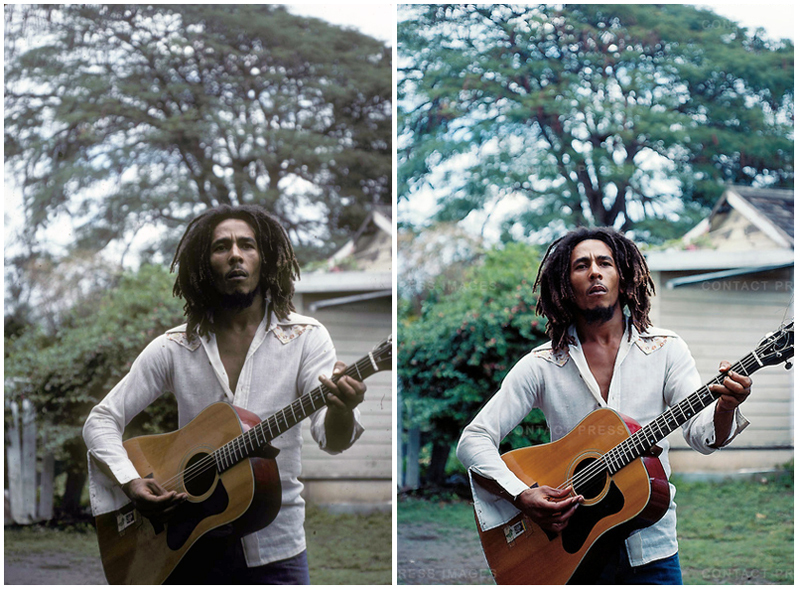 These photos of Bob Marley in his backyard at home in Jamaica were taken by photographer David Burnett for Time Magazine in March of 1976. 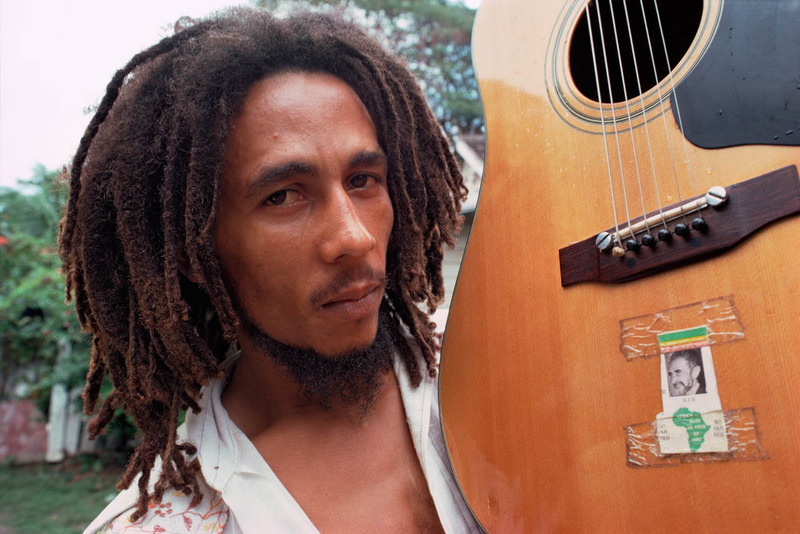 Marley did not play many different guitars in his career but this Guild Madeira A-9 acoustic guitar he used at home to write songs with caught my eye because of the piece of paper it has taped to it. 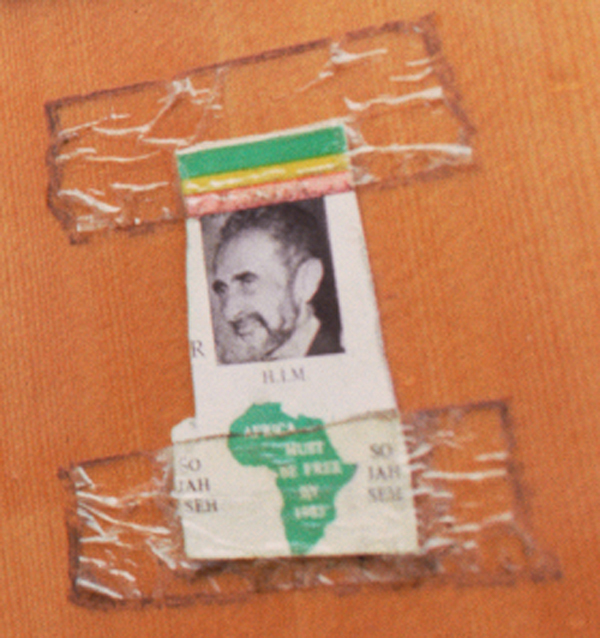 Upon close inspection, and with help from feelnumb.com reader Brock Killingsworth, the man in the photo is Haile Selassie, the last Emperor of Ethiopia aka the “Rastafari Messiah” who died under shady circumstances in 1974. 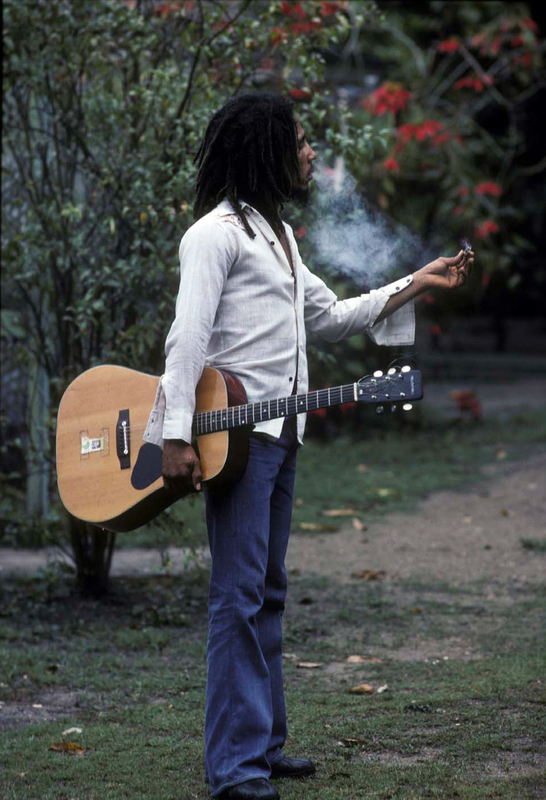 The H.I.M. under his photo stands for “His Imperial Majesty”. 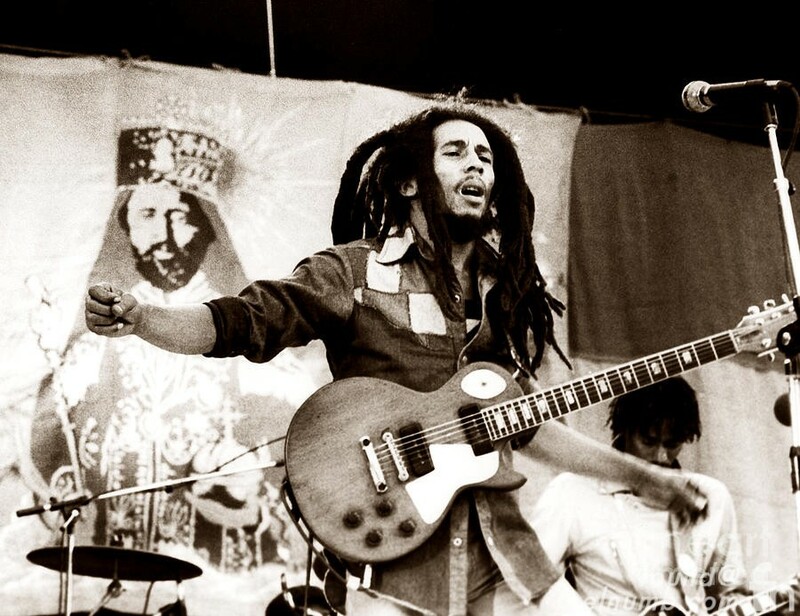 The rest of the the text reads as follows, SO JAH SEH (a Marley song of the “Natty Dread” album) and a map of Africa that says “Africa Must Be Free By 1983“. 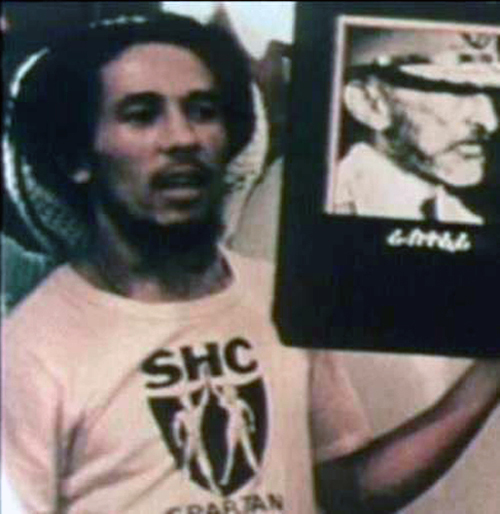 Here’s a cool photo of Marley holding up a photo of Haile Selassie and performing in front of a banner of the Emperor.